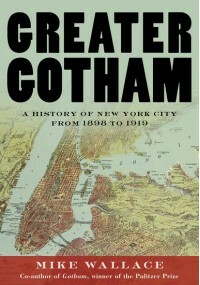 In 1999, the first book of a projected three-volume history of New York City was published, Entitled Gotham, it covered the history of the city from is beginnings as a Dutch colony to the 1898 consolidation that merged the city with east Bronx, Brooklyn, western Queens County, and Staten Island, and won its authors, Edwin G. Burrows and Mike Wallace, a well-deserved Pulitzer Prize for their labors. It has taken eighteen years for the second volume to be published, yet the result is well worth that wait. Picking up where the last volume left off, Wallace (who is now soldiering forward solo in his efforts) describes the development of the city in all its particulars, covering its many economic, social, political, and cultural aspects. Though diverse in its scope, much of it is united by a common thread of consolidation, which in many respects was only just beginning. Consolidation was a popular concept of the age, with economic combinations emerging in American industry that dwarfed what had come before. Much of this was possible thanks to the financing provided by Wall Street, which served as the beating heart of the new, ever-more nationalized economy. Consolidation was also important at the local level, as the city’s leaders now sought to turn the political achievement into a practical reality. To that end, they created a common infrastructure that tied it more closely together, which they did in a vast construction boom that created many of the institutions and arteries upon which the city relies today. Their efforts were emulated by others, as groups from Broadway to the criminal underworld embraced the benefits of combination. Yet not everyone was accommodated in the process, and Wallace’s book chronicles the many disputes that characterized an often painful growth of Gotham into the global metropolis it became by the end of the First World War. 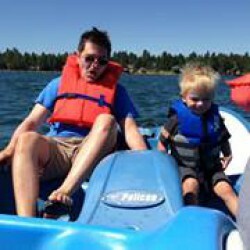 Comprehensive and engaging, Wallace’s book is a worthy follow-up to its award-winning predecessor. Though its size is daunting, the division of the material into subject chapters makes it easily digestible, while Wallace’s ability to use the stories of individual New Yorkers to tell the larger history of the city makes it enjoyable reading. In Wallace the city has found a worthy chronicler, and with the Jazz Age, the Great Depression, and another world war looming, it is to be hoped that readers will not have as long to wait for the next volume.